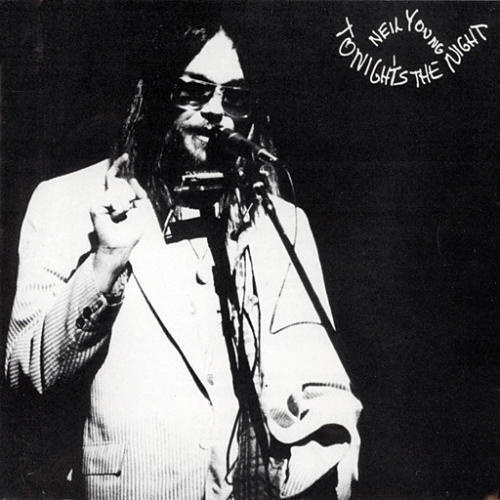 I’ve been listening to a lot of Neil Young lately, specifically to his “Ditch Trilogy” and its dark masterpiece ‘Tonight’s The Night’. For all you NY newbies, the Ditch Trilogy were the three albums that Young released after his 1972 breakthrough ‘Harvest’. That album was such a runaway hit (it would become the best-selling album of 1972) that Young, jaded by the mainstream success of the album and of its signature song “Hart of Gold”, withdrew from the spotlight and for the next couple of decades, with a few exceptions, intentionally avoided the AM-folksinger persona that everyone wanted him to uphold by releasing, among others, grunge, synth-pop, and really bad rockability albums. In the liner notes of the 1977 compilation album ‘Decade’, Young writes: “‘Heart of Gold’ put me in the middle of the road, traveling there soon became a bore so I headed for the ditch,” and thus the term “Ditch” is born to describe the moody and complex albums released between ‘Harvest’ and his 1975 radio-friendly collaboration with Crazy Horse ‘Zuma’. The trilogy is made up of ‘Time Fades Away’ (1973), ‘On The Beach’ (1974), and ‘Tonight’s The Night’ (1975), though ‘Time Fades Away’ has long been out of print and has not been rereleased, which is strange considering how giving Young is with his unreleased material. However, the two Ditch albums that we do have access to are considered by many critics and fans to be his best albums. This was the time when the notoriously inconsistent Young was finally able to channel his many songwriting styles, which ranged from soft folk to distorted guitar rock, into making engaging albums that married his ability to write simple yet emotionally compelling songs with his desire to let his electric guitar do most of the talking. None of these albums produced any hits, but they’re his best albums because you can listen to them from start to finish in one setting, which for a Neil Young record is quite the achievement. The Ditch Trilogy albums are also infamous for being Young’s darkest works. A lot of this had to do with his tremulous state of mind at the time. Along with the sudden fame and fortune, Young was grieving over the loss of Crazy Horse guitarist Danny Whitten and roadie Bruce Berry, both of whom died of heroin overdoses (to make matters worse, Whitten was found dead the night when, earlier that day, Young had fired him from Crazy Horse). Young, consumed by guilt and grief, was able to pour his frustration and anger across a whole series of albums all confronting how fragile and twisted life is when you see it end right before your eyes and what you try and make of it when you’re left standing, alive yet alone. My favorite Neil Young album is ‘On The Beach’ (to me it’s his most essential album and it has my favorite NY song, “Ambulance Blues”), but I’ve been listening to ‘Tonight’s The Night’ a lot more since I’ve moved to New York City. It’s not an easy album to listen to, but sometimes it’s a welcoming soundtrack to a lonely late-night subway ride. Young had never been an overly confessional or personal songwriter, yet ‘Tonight’s The Night’ finds Young at his most naked and vulnerable, singing about specific people and places and, without relying too much on metaphors, sings of his pain and sorry that, in the brilliant way that only great musicians can do, feels familiar and relatable. Later in the song, Young confirms that his borrowed tune was taken from the Rolling Stones, and I recognized that it was “Lady Jane”, a somewhat obscure ballad from 1966’s ‘Aftermath’. Why did Young pick this specific song? It’s hard to say. Neither Young nor any of the Stones have come forward to acknowledge each other’s involvement or history during this time and how it influenced this album. Maybe this was Young’s favorite Stones song at the time, or maybe it was Danny Whitten’s or Bruce Berry’s favorite song. Who knows. Even on his most personal album, Young is still a man shrouded in mystery. One of my favorite artists of any genre is Chet Baker, the late jazz trumpeter who had one of the most unique (and beautiful) singing styles. He was one of the most recognizable musicians of West Coast cool jazz, and his life was full of enough charisma and drug addiction that he helped make jazz itself cooler for a wider audience (he was often known as the James Dean of jazz, and for good reason). The following video is Let’s Get Lost, a two hour documentary about the life of Chet Baker. The movies goes back and forth between Chet’s early years as a raw talent and his last years as a struggling drug addict (Chet died in 1988 from falling out of his hotel room in Amsterdam. He was 58 years old). Let’s Get Lost is a fascinating documentary that is worth two hours of your time, regardless of how much you know about Baker or of jazz music in general. I highly recommend Chet Baker’s music, especially Chet Baker Sings. I know I just posted about Nirvana and the one song Kurt Cobain hated the most, but this video is too good. Kathleen Hanna tells a story of when she was with Kurt Cobain (the two were close friends at the time) in 1990 when they were hanging out and getting drunk, vandalizing fake abortion clinics, and creating the inspiration for the title of one of the most popular songs of the 90s. The video is a bit long, but make sure to watch the whole thing. “Smells Like Teen Spirit” might be Nirvana’s most popular song, but it was also the song that Kurt Cobain hated the most. Cobain didn’t like that the song had reached such a crazy level of popularity and that it became, for many people, the only Nirvana song they knew. Soon the band stopped playing the song all together live, and if they did play it live the band would deliberately play various versions of the song. One of their most famous “alternate” performances of “Smells Like Teen Spirit” was in 1991 on BBC’s Top of the Pops TV show. The producers had requested that the band play the backing track of the song with Cobain singing live. The request made Cobain furious, but instead of refusing the produers’ request the band agreed to play the show with the backing track. The video below might be one of the greatest trolls of the MTV era. In late 2003 Jay Z was recording what was supposed to be his final rap album The Black Album. The acclaimed rapper wanted to go out in style, so of course he wanted the right people to help him. So who does Jay Z turn to produce his farewell album? Rick Rubin of course. Below is a 10-minute video showing some footage of the Black Album sessions, specifically of the recording of “99 Problems”, which is arguably Jay Z’s most critically acclaimed hit. This video has it all: a giant mansion with a buddha, stuffed animals, Rick Rubin’s beard, Beyonce, and a reflective Jay Z on his recording process and why he wanted Rubin’s help. And there’s Rick Rubin’s beard. 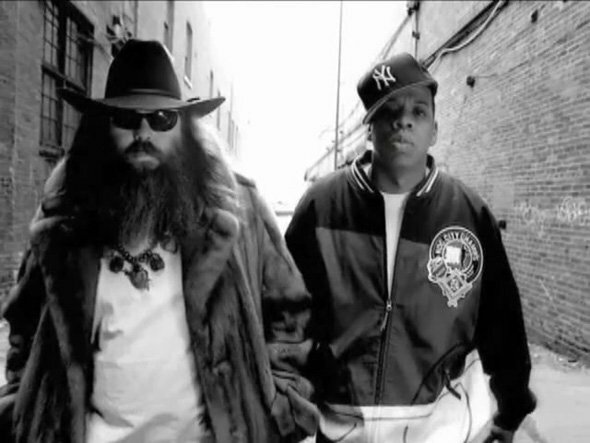 And in case you’re curious about Rick Rubin, check out this list of albums he has produced. You’ll be shocked by how many you know. Frank Zappa is one of Rock & Roll’s greatest champions, even if you can’t name any one of his songs. Zappa was an intellegent musician with a complex (and awesome) discography, and he was one of the greatest advocators for freedom of speech in music (it’s because of Zappa that we have the “Parental Advisory” stickers on albums today – without Zappa’s input, those records wouldn’t even be sold in popular stores today). The video is 20 minutes, but it’s very entertaining and it gives good insight on music’s place within freedom of speech. In 1985 something terrible happened. Two of rock & roll’s great singers came together to perform a classic Motown hit. Their intentions were good, but the product of their collaboration (which in hindsight probably wasn’t a good idea to start) did irremediable damage to the lives of their fans. 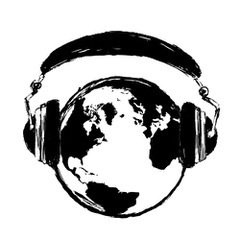 Music would never be the same. Today’s lesson: Radiohead’s awkward performance of “Creep” on MTV’s Beach House. In 1993 Radiohead was a struggling young band trying to catch a break. Their first single (and still probably their most famous song) “Creep” was slowly climbing up the charts, and it wasn’t long before MTV wanted to cash in on this new and upcoming band. Below is the infamous MTV Beach House performance, where a young Radiohead plays an awkward show for a young crowd that thinks they like Radiohead but they’re not sure. Its beauty lies in its awkwardness. Enjoy. Music History 101: Next Time You Get Booed On Stage Ask Yourself – What Would Sinead O’Connor Do? Ladies and gentlemen, what I’m about to show you is pretty badass. At a Bob Dylan tribute show, notorious Irish rocker Sinead O’Connor is about to perform when she is booed so intensely that she cannot perform. But first let’s back up. Earlier she played Saturday Night Live and during her performance she ripped a picture of the Pope in protest of child abuse in the Catholic Church. Not a good thing to do for your career right? Well the crowd was still pissed at her and they made sure she would not be able to perform. So how does she respond? She sings (borderline shouts) the lyrics to Bob Marley’s “War” with a few changes in the lyrics addressing child abuse. Here is the video. This was pretty much the equivalent of the middle finger. It also must be pointed out the irony in this entire set up. The crowd is full of Bob Dylan fans, and last time I check there was another show that was booed….has something to do with Judas….